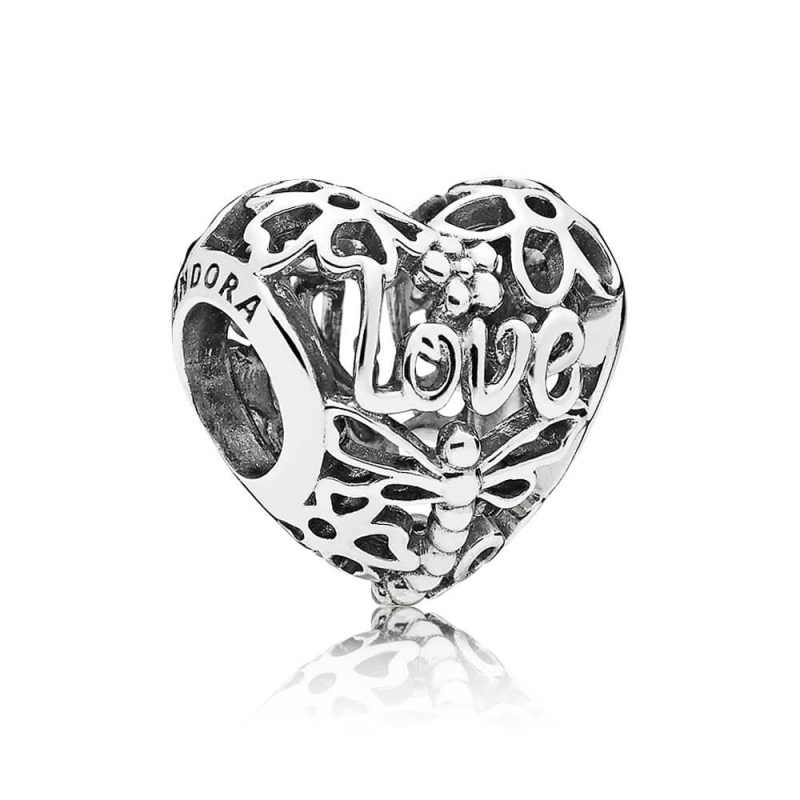 PANDORA Promise of Spring Charm. Celebrate the joy of life and nature as these two themes come together in this wonderful heart charm. The words "Love and "Life" are surrounded by swirls of openwork flower and dragonfly detailing , perfectly finished in sterling silver.